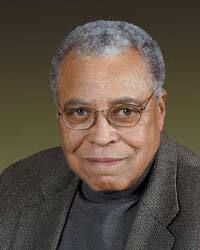 Born on January 17th, 1931, in Mississippi, James Earl Jones was the son an actor and boxer Robert Earl Jones, whom he would not know for years. At a young age, Jones moved to Michigan, where he was raised by his maternal grandparents. Ironically, given that his voice would someday make him popular, Jones developed stutter as a kid, which left him self-conscious and introvert around other kids. He refused to talk in school until his high school teacher helped him correct his speech. After enrolling into the University of Michigan to study medicine, Jones discovered acting. These lessons inspired him to pursue acting, and he quit medicine to dedicate his time to drama study. Jones made his stage debut in the community theatre production in Michigan. This was his last appearance for a awhile, since he then joined the army. His best-known role on the stage was as the boxing champion in “The Great White Hope,” which earned him his first Tony Award. During this time, he started working on TV, appearing on various TV shows. In doing that, Jones became one of the first African-American actors to perform consistently on soaps. In the 1970, he reprised his stage role in “The Great White Hope” on screen, earning Golden Globe and Best Actor Oscar nominations for his remarkable portrayal of a proud yet conflicted fighter. Continuing to work in a theatre, Jones featured in many Broadway productions during the 70’s and 80’s. He had starring roles in such productions as the 1974 revival of “Of Mice and Men” and the 1978 play “Paul Robeson.” In 1987, he won his second Tony Award for his work in the August Wilson drama “Fences.” In the late 1980’s, he did some of the best work in his career, first as an oppressed miner in John Sayles’ “Matewan” and as a Salinger-like author in the “Field of Dreams.” Then he spent the next decade branching out into a blockbuster action genre. While Jones continued to appear in movies and TV throughout the late 1990’s and early 2000s, it was his unique voice that made him stand out.